The 2nd round of 2019 Effective Practice submissions will open soon. These award winners will be honored at OLC Accelerate in Orlando, FL in November. To help make quality online education accessible and affordable for anyone, anywhere, at any time, the members of the OLC community share techniques, strategies, and practices in online education that have worked for them. All effective practices are peer-reviewed to ensure quality and to give submitters some documentation for tenure and promotion files. 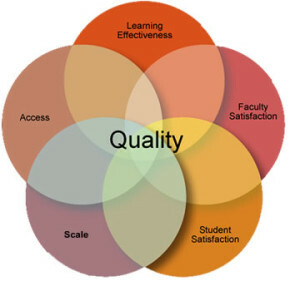 OLC focuses on five pillars of quality (see framework and narrative) in online education: access, learning effectiveness, faculty satisfaction, student satisfaction, and scale (institutional commitment to achieving capacity enrollment via cost-effectiveness). Two rounds of Effective Practices are awarded annually. The first round is awarded each spring at the OLC Innovate conference in April. The second round of Effective Practice Awards is presented at the OLC Accelerate conference in November. Awardees will be given the opportunity to present at the appropriate conference, as well as presenting a webinar at a later date. First Round of 2019 OLC Effective Practice Awards Closed for Submissions: Next round will open soon! Submissions for effective practices included topics related to innovation and/or technology that enhance the field of digital learning. These practices are peer reviewed and can help with tenure and promotion. (When the submission process is open): To add an effective practice, login to OLC and then (we will supply the link when the submission process re-opens). Please note it will take time for peer reviewers to review EP submissions. We will email you when the committee has made selections. 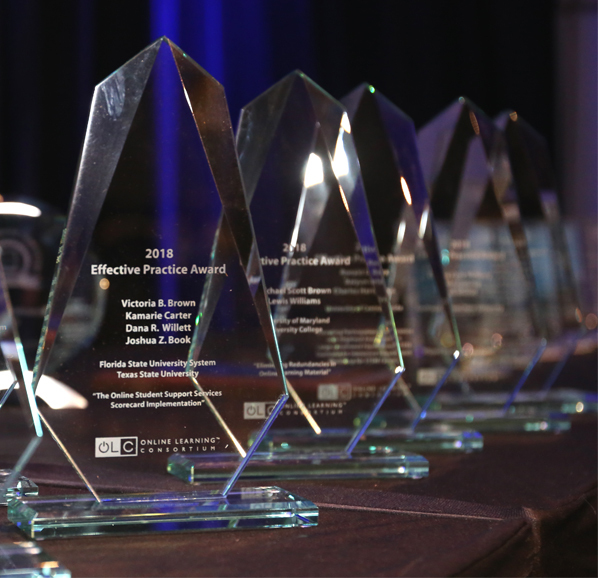 All Effective Practice Award recipients for the next selection round will be asked to present their effective practice at OLC Accelerate in Orlando in November. To help you prepare for submission you will need to submit the following fields on the submission form. Supporting Information to help us understand the Effective Practice – the community will see these support documents. Sign up for email updates to get notified of award nominations and winners. Awards for the current round of submissions will be presented at OLC Innovate in Denver, CO, April 3-5, 2019.